The APM space is expanding and evolving at a rapid pace, leading to older established firms acquiring newer technologies to fill in the gaps in their solutions. As this evolution is certain to continue, it's worth considering the two traditional approaches to any large enterprise IT effort, whether it be APM, BSM, BPM, SOA, ERP, SCM, or another three-letter acronym. One approach to solving a new need is to implement an all-encompassing solution that promises to solve all an organization's problems. This approach is most often advocated by major IT vendors need to feed large IT services organizations. These companies offer nebulous solutions and use all sorts of buzzwords. What customers end up receiving, however, are ponderous implementations that require teams of consultants and many months to deploy—if not years. 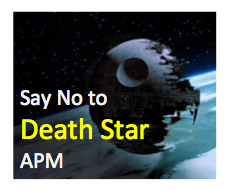 This services-heavy, all-encompassing approach seems to be the direction in which the largest APM vendors are heading as they construct what I like to call "Death Star" APM solution portfolios. Adopting a best-of-breed approach enables companies to build on their existing investments, in terms of time, money, and training. A best-of-breed approach is less risky and disruptive than "rip-and-replace" projects that often run into Murphy's Law, where anything that can go wrong probably will. With best-of-breed solutions, IT teams can utilize existing skills and are not as dependent on outside consultants. Best-of-breed solutions deliver incremental value immediately. In business terms, these solutions offer fast return-on-investment and can pay for themselves in a fraction of the time it takes to procure, install, and configure a larger vendor's product portfolio. A best-of-breed approach avoids vendor lock-in, where an organization becomes tied to an aging product with increasing maintenance and per-user subscription fees. Analyst firm Enterprise Management Associates (EMA) recently published a report touting the success that several enterprises have had in adding on a real-time application-focused solution to their existing packet-based network monitoring product. In the case of the companies interviewed by EMA, a best-of-breed approach to APM cost-effectively addressed the need for a comprehensive APM solution that works for the entire IT organization. The EMA white paper details exactly how a best-of-breed APM approach plays out in the real world. The companies featured in the white paper have realized all the above benefits by adding real-time application-level visibility to their existing, and trusted, packet-based network monitoring product. The organizations interviewed by EMA—including a financial transactions clearinghouse, a high-tech manufacturer, and large investment services firm—have already invested significant time and money in this product, which provides valuable L2–L4 analysis and deep packet analysis for forensic investigation of application performance issues. However, what these organizations lacked was a continuous, real-time view of application performance that analyzed valuable L7 application-level metrics across all tiers of the application infrastructure—network, web, database, and storage. By adding a network-based APM solution to their existing packet-based network monitoring tools, these organizations were able to identify problems faster through proactive early warning and dramatically increasing speed mean-time-to-resolution through cross-tier visibility. An associate director for network management at a large investment services firm characterized the complementary nature of the two solutions. He said the network-based APM solution provided live dashboards that his team used to track activity baselines and recognize when operational indicators are outside of the norm. 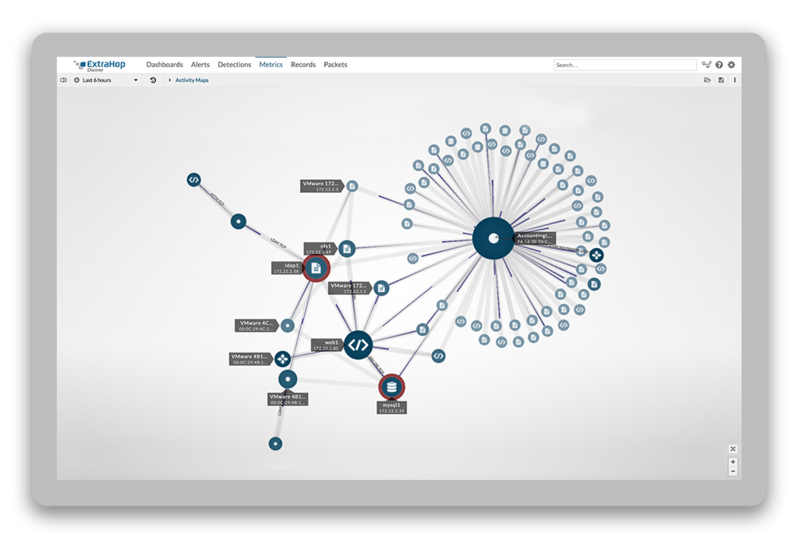 On the other hand, the packet-based network monitoring product is the team's "go-to" tool when they need deep analysis, particularly if the investigation is after-the-fact. For example, the Customer Support team at this particular company has several analysts who are trained to pull packet traces and conduct detailed session and transaction reconstruction during problem investigations. It's true that purchasing a solution from a larger IT vendor can offer a sense of security, as illustrated in the old IT axiom, "No one ever got fired for buying IBM." However, from both a technological and business perspective, a best-of-breed approach can deliver proven benefits. By adopting a best-of-breed approach to APM, enterprises can build on what they already have, remain free to take advantage of the best technology available, and start realizing value much faster than by chasing an all-encompassing deployment. Download the EMA white paper examining three examples where ExtraHop Networks solutions have been deployed alongside NetScout Systems solutions.